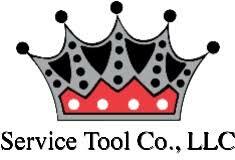 Service Tool Company is the leading importer, distributor and merchandiser of hand tools in the United States. The Company services more than 20,000 stores totaling over 40,000 displays across the U.S. The Company's sales force consists of 120 salespeople, 7 regional sales managers and a national sales manager. The Company needed an app for its sales people to place orders and take inventory out in the field at a customer’s store. The sales team uses a program offered by another company. Any slight change requested to improve the app for the Service Tool Company sales team would require a lot of time and money to have the other company enhance and update the app. By writing and managing its own app, Service Tool Company believed it could gain more control over the development process and improve its sales processes and performance on an ongoing basis. The most critical requirement was that the new sales app had work while offline. The sales people do work in many remote places across the U.S., many without cell service or WiFi. The app must work without a signal in these remote locations. The Company needed a field sales app that could work without a signal in remote locations. Systems analyst Rusty Bourque and his team of two developers decided to use Alpha Anywhere to develop the app. The main app in development will serve salesmen all over the country. The app, which works offline, allows sales people to take orders, inventory existing tools in the store, record additional information about a customer, and display maps of their current customers. The app is currently in beta with a local salesman and is working well. Once the beta is complete, the Phase 1 app will go into full production for the 120 sales people across the country. It will replace the current ordering app and include the same features with high performance and speed. Phase 2 will add custom features specific to Service Tool Company business processes to increase sales and increase profits. "Our experience with Alpha Anywhere has been great," said Bourque. "The product provides us a way to quickly build an app with a minimal amount of coding. Alpha Software is always quick to reply with feature requests or extra help. There is a new release of Alpha almost daily with new features available to us. "Our experience with Alpha Anywhere has been great. The product provides us a way to quickly build an app with a minimal amount of coding." After successful rollout of the field sales app, Bourque plans to develop additional mobile apps that will improve processes and efficiencies at the Company's warehouse. For example, the worker in the warehouse that pulls an order will use an Alpha Anywhere mobile app instead of a paper form and possibly scan the UPC of every item picked, in order to reduce errors. After successful rollout of the field sales app, Bourque plans to develop additional mobile apps that will improve processes and efficiencies at the Company's warehouse.